Julie Cross is a speaker, inspirational entertainer, trainer and experienced master of ceremonies. 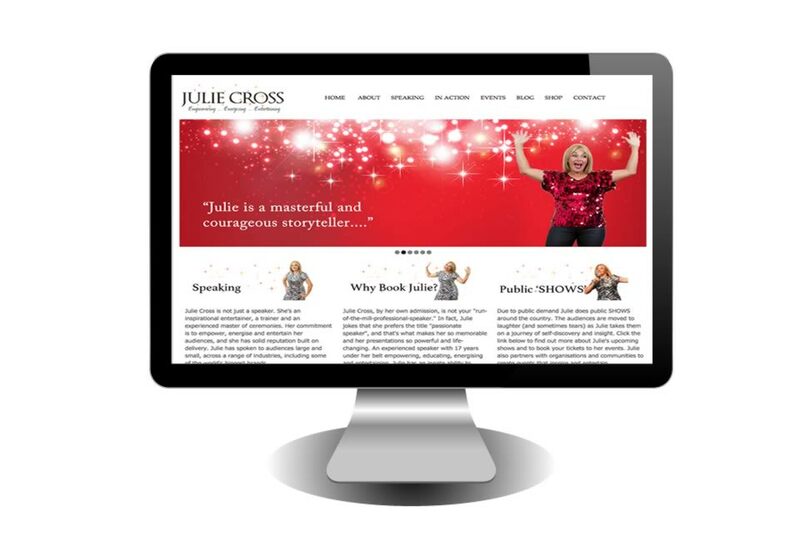 Julie’s previous website was outdated and a new, fresh website was needed to reflect her brand and personality. Well-known for her “sparkle”, Julie’s new website brings her message to life through strong imagery and easy-to-follow navigation. View Julie Cross’ website here.